Castillo de San Miguel is located close to Los Cristianos in southern Tenerife. Spending an evening in this majestic place is magnificent in all aspects. Visitors find themselves immersed in history, great food and spectacular entertainment the castle brings. The castle is not an authentic construction erected during the Middle Ages, nor do they claim to be one. Instead, curious guests who’d like to know more witness a magical evening with the Knights of the Round Table. 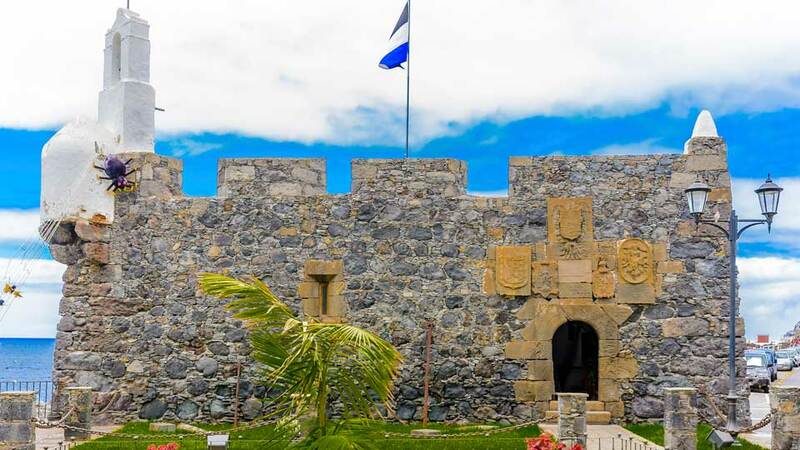 The castle is a squat of impressive structure made of fine Canarian stones. It covers some 6,000 square meters of land and features main towers that are more than 16 meters tall. The entrance to the castle is a view to behold, while the interior is decorated with historical armor, swords, chests, and scrolls of the medieval epoch. Upon arrival, guests are given the royal treatment by the Count, Don Rodrigo, and his daughter, the young Countess. 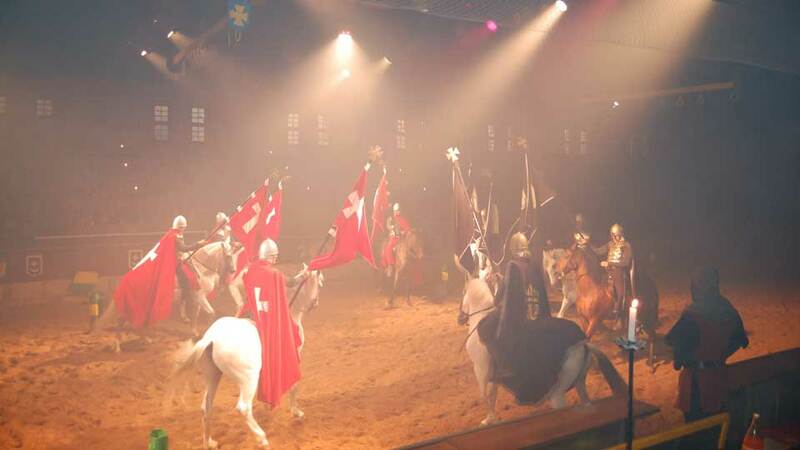 After greeting and welcoming guests, the subjects now follow the Count as he takes them to the Tournament Hall, where the elaborate medieval fight show and games are held. The competition caters to visitors of all ages; children are welcome to come along. During the tournament, guests are served with a banquet, just as it’s done in the Medieval Times. The Count’s guests are seated in stands of long tables where visibility is optimal from anywhere in the Tournament Hall. The sand arena where the horses and knights perform is 50 meters long. The spectacle starts with the arrival of six mounted horsemen doing well-coordinated movements. This is a preamble to welcome the dukes and other noble people present during the tournament. Each knight, wearing unique colors, represents different estates. Each section of the stand cheers on the knight wearing their color in the hope of beating his adversaries. At times, a knight of a different color will go to other colored stands, provoking heated catcalling. The Tournament Hall transforms from a timid evening show into a fun havoc real fast. In no time at all, the applause and cheers fill the air with excitement. While witnessing all these transpire, guests tuck into a hearty medieval-style banquet with plenty of wine. The sumptuous dinner of vegetable cream, whole chicken and baked potato with mojo and frost cake is a gastronomical feast. Please note that the menu changes from time to time. Ample supply of white and red wine, beer, soft drinks and bread on the table are enough to sustain the guests’ excitement all throughout the show. For a more authentic feel of the olden days, visitors eat without the use of cutlery. Just as visitors thought the exciting night has come to an end, they are escorted to the Grand Ballroom. Here, guest can dance the rest of the evening away, usually to live music. For many years, the well-known cast from “The Drifters” provide entertainment during this part of the evening. For visitors taking a cab or car, head for the South motorway and take the exit leading to San Miguel. Continue on the TF-65 until a roundabout leading to Aldea Blanca. Castillo de San Miguel is already visible from the roundabout, located at about 200 meters ahead on the right side of the road. Castillo de San Miguel is open four times a week: Tuesday, Thursday, Friday, and Saturday. Castle doors open at 20:00 and the show start at 20:30. Visitors are encouraged to allow for at least 3 hours for the entire evening show and dinner. Ticket price varies depending on visitors’ age and ticket type. The Show + Dinner ticket costs €44,55 for adults and €22,27 for children. For convenience, guests may enjoy the convenience of being picked up and dropped off at their hotels for an additional fee. Visit the show’s official website for more information and to reserve tickets. The evening show and dinner in Castillo de San Miguel is a unique and must-see-and-experience when visiting Tenerife. The show, itself, is nothing short of brilliant from start to end. The entertainment is realistic and choreographed by professionals using real swords and fire. Also, the scrumptious dinner is to die for, figuratively. Guests looking to take a break from the usual nightlife scene in Tenerife should visit Castillo de San Miguel. Anyone who’s been to Castillo de San Miguel and seen the evening show claims that it’s the best night of their trip.